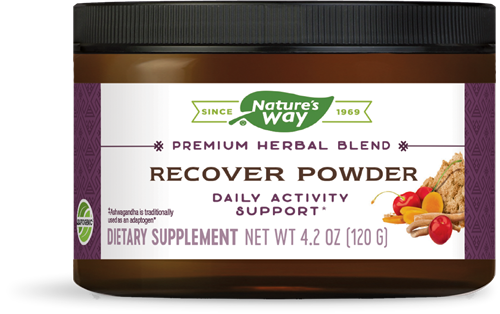 Recover Powder - Nature's Way®. Adults: Take 1/2 Tablespoon (Tbsp.) (4 g) once daily, or as recommended by a healthcare professional. ††Relieves occasional pain due to overexertion.